On Thursday, the University of California Irvine School of Medicine announced it'll give Google Glass to all its students. First and second-year students will be using Glass for their anatomy and clinical skill classes, and older students will use them for their hospital rounds. Which makes sense —a hands-free informational display has proven invaluable to doctors in the past. But what about all us non-medics? As hefty and awkward-looking as those headsets are, they are rife with educational possibilities. 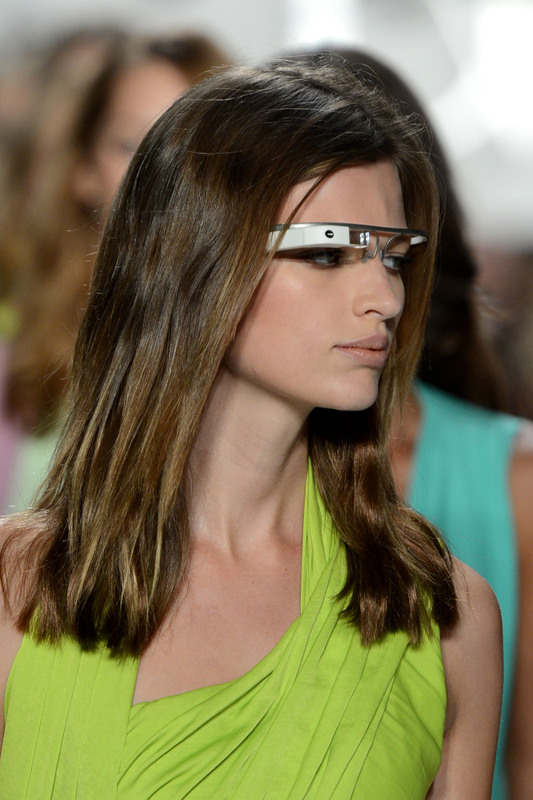 In a couple of years, Google Glass will (probably) become the new thing for all subjects on college campuses. And aside from its obvious dangers — easy cheating, hands-free messaging, snap-chatting, general merry distraction — it could bring some pretty neat things to your everyday college experience. Its map function could ensure that you never get lost on a new campus (or at the start of a new school year — Psych building? What Psych building?). You could easily record your lectures without getting a hand crap. You can double-check that dodgy-sounding example your professor seemed to come up with out of mid air — all with a blink of an eye. Here’s what we think (hope, dream) will happen when Google Glass gets handed out at your typical university. Being in a small seminar with a group of your intelligent peers, discussing (alright, arguing) an important global issue or the significance of a recent policy change, can be a wonderful thing. It can also be incredibly frustrating, especially if you're someone who just knows you're right, but can't for the life of you remember that one perfect statistic that would make your point. In the dreamworld of the future, Google Glass will be there, to bring up graphs and stats and quotes to make you crush (that is, gracefully point out the flaws in) your enemy's (classmate's) argument. Sadly, they'll probably have Google Glass too. Rather than fading in and out of your lecturer's deeply detailed explanation regarding Maxwell’s equations in a dielectric, learning physics could become an incredibly interactive and exciting experience. Physics equations could suddenly overlay your physical surroundings, you could get real-time physics analyses through Google Glass. Or do something else entirely: One teacher, Andrew Vanden Heuvel of Grand Rapids, Mich., took his headset to the European Organization for Nuclear Research (CERN) research facility in Switzerland to see its Large Hadron Collider — and shared that experience with his students back home. Maybe this applies more to high school cafeterias than college food halls. Either way, it would be pretty wondrous (or deeply upsetting, depending on the outcome) to know just what was being served, its nutritional value, maybe even its calorie count. That mulchy brown stuff in the corner? That's Spag Bol — who knew? At some point, Google Translate will surely meet Google Glass; suddenly, understanding what someone is saying in Russian will be remarkably simple. It could translate in real-time and be like your own personal set of subtitles. All at once, your language seminars just so, so much more fun — it's all about perfecting that accent, now. Forget all the above suggestions. Why go into a classroom filled with your peers of questionable hygiene? Why leave your room — hell, your bed — at all? Google Hangout with your Google Glass and watch your teacher talk about Postmodernism and Baudrillard while your feet stay snuggled under your duvet. You probably would pay more attention that way anyway — right?